Located near the Champs-Elysées in the 8th arrondissement, Le Marianne is the very image of Paris: both steeped in history and firmly rooted in its time. 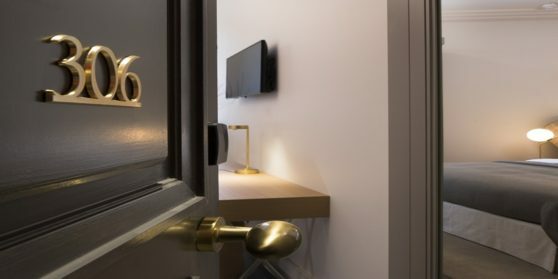 This beautiful building from the Haussmann period has been transformed into a modern and comfortable hotel in a chic, contemporary style that embodies French savoir faire and joie de vivre. After a long day of work, sightseeing or shopping, you will enjoy coming home to the luxury of its facilities and service.